Newport County AFC will be looking to make it back-to-back away victories in League 2 when they travel to Chesterfield on Easter Monday. The Exiles will also be looking to keep their play-off hopes alive at the Proact Stadium, while the home side will be desperate for all three points having fallen further behind in the battle for survival on Good Friday. Tickets for this match are still available on the gate and here, you can find all the facts and statistics ahead of this League Two encounter. The Spireites have been on a relatively steady run of form recently as they continue to battle for their Football League survival. They have picked up seven points from their last six matches, following two wins, one draw and three defeats. That run starts on 17th February as Carlisle United boosted their faint hopes of a play-off place come the end of the season with a 2-0 home triumph against the Spireites. Goals in either half from Kelvin Etuhu and John O’Sullivan did the damage for the Cumbrians on the day, while that was at the time, the fourth defeat in a row for Chesterfield. But the Spireites got a much-needed win in their next match, securing a 2-1 home victory against another play-off hopeful in Swindon Town. Chris O’Grady and Andrew Kellett put the Derbyshire outfit in command with goals either side of half-time, while their cause was further aided as Swindon’s Ollie Banks was dismissed. A late header from Rollin Menayese gave the Robins a glimmer of hope, but the Spireites held on to secure all three points that could prove so vital in their quest to remain in the Football League. They couldn’t make it back-to-back home victories when Lincoln City next travelled to the Proact Stadium, however, going down to a 3-1 defeat. The game was halted for 30-minutes so a helicopter could land on the pitch and help treat a supporter, with the Spireites taking the lead shortly after the game was able to restart through Alex Whitmore. A goal deep into first-half added time by Michael Bostwick ensured that they wouldn’t take a lead back with them to the dressing rooms, while the Imps secured the victory in the second-half through goals from Scott Wharton and Ollie Palmer. In their next match, Chesterfield were denied a rare away victory when Cheltenham scored late to salvage a 1-1 draw at the LCI Rail Stadium. Kristian Dennis’ 17th goal of the season seemingly looked likely to give the side just a third away triumph of the season when he netted with 16 minutes remaining, only for Brian Graham to pop up and take a share of the spoils. But they responded to that late heartache in Gloucestershire when they beat automatic promotion chasing Notts County 3-1 in-front of the SKY cameras. Ex-Exile Sid Nelson scored his first goal for the club since joining on loan in January, before Zavon Hines doubled the advantage before half-time. An audacious free-kick from Daniel Jones five minutes from the end set up a dramatic finale at the Proact, but Dennis kept his cool from the penalty spot deep into added time to confirm that the three points would be staying in Derbyshire. In their most recent match, the Spireites were plunged into trouble when they suffered a 2-1 defeat at fellow strugglers Port Vale on Good Friday. That defeat came despite the Valiants spending the entirety of the second-half with ten men, following Danny Pugh being dismissed two minutes after scoring the opener at Vale Park. Louis Reed levelled proceedings with a tremendous 25-yard free-kick, but it would be Port Vale securing their first win of 2018 as Ben Whitfield struck with eight minutes remaining to boost their survival hopes. That means County will head to Derbyshire on Monday to face a side now cast four points adrift of safety, although they do have two games in hand on Grimsby Town, who sit in the position above the drop-zone. The Spireites have several injury concerns to contend with ahead of welcoming County to the Proact Stadium on Monday. Midfielder Giles Coke is a definite absentee having suffered an achilles tendon injury earlier in the campaign, although it is hoped that the midfielder will be able to make a return before the end of the season. Jordan Sinnott, who has not featured since November due to an ankle injury, has returned to training but remains a few weeks away, while fellow defender Ian Evatt is also out with the knee injury picked up just before Christmas. Sam Hird (Hamstring), Gozie Ugwu (Quad Tear) and Dylan Mottley-Henry have also been ruled out of the Easter Monday fixture. All those injury concerns saw manager Jack Lester name an unchanged side over the past two games, with it as yet unclear as to whether he can make any changes to that side this time out. Chesterfield team vs Port Vale (4-4-1-1): Ramsdale, Barry, Nelson, Whitmore, Talbot, Weir, Reed, Kellett (Dodds 81), Hines (J.Kay 81), Brown (O’Grady, 86), Dennis. Robbie Weir has been a mainstay in the Chesterfield midfield this season as the Spireites look to avoid back-to-back relegations come the end of the campaign. The 29-year old had suffered a knee injury during the live game with Notts County last weekend, but recovered well ahead of schedule to keep his place in the side on Good Friday, with Weir again expected to keep his spot as part of a 4-4-1-1 formation. He has two goals to his name this season, the first of which came in the 3-2 home defeat against Yeovil Town on 26th September. 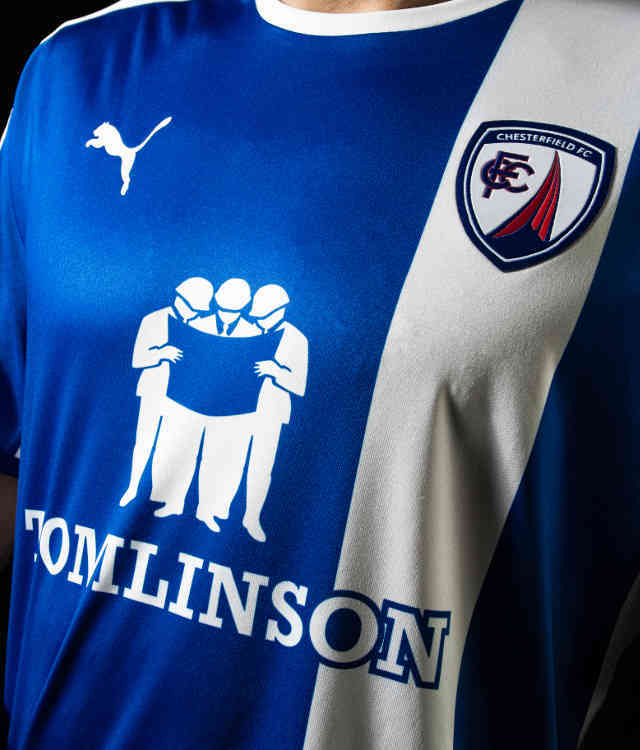 The other was much more important, however, and could be a goal that people look back on in the future as a vital one should the Spireites secure safety this season. Playing against bottom club Barnet on 9th December, the Spireites looked like they would have to settle for a point in the relegation six-pointer, only for Weir to pop up in the third minute of additional time and mark his 29th birthday with the matchwinner. Weir is currently in his first season with the Derbyshire club, the 6th permanent club of a career that started in 2004 with Larne. He made his debut as a 15-year old and scored his first goal for the club on 9th October 2004 in a 5-2 victory over Crusaders. Some stellar performances attracted the attention of a host of Premier League clubs, with Weir agreeing to sign with Sunderland ahead of the 2005/06 season. The midfielder spent a few seasons in the academy system at the club, before joining York City and Tranmere Rovers on loan deals. Those matches clearly impressed Tranmere, with the club offering him a permanent contract before the 2011/12 season. His first goal with Rovers coincidentally came against Chesterfield, the matchwinner in a 1-0 victory, although another two goals that season couldn’t stop him being released at the end of that campaign. That saw the 29-year old end up at Burton Albion, a club where Weir really started to settle. During his four seasons with the club, they were promoted twice and into the Championship, while he left the club having scored nine goals from 184 appearances. Weir played at Leyton Orient last season as they were relegated from the Football League, although he was able to exercise a clause in his contract that permitted him to leave should they get relegated. He was also capped at age-grade by Northern Ireland. Weir played at U18, U19 and U21 level, while he received a cap as part of the Northern Ireland B team in 2009. A club legend from his playing days with the Spireites, Jack Lester returned to Chesterfield earlier this season and has given the Derbyshire outfit a real chance of remaining in the Football League. The 42-year old was appointed at the Proact on 29th September 2017 following the dismissal of Gary Caldwell, although his first game didn’t quite go to plan as they suffered a 2-0 defeat to Cheltenham Town on the day after his official unveiling. He has taken charge of 32 matches thus far at Chesterfield and currently has a win ratio of 28.1%. That sees him picking up all three points on nine occasions, while there have been six draws and 17 losses since his arrival. Some of those victories have been extremely impressive ones – none more so than the 3-1 triumph over Notts County last weekend in-front of the SKY cameras. Lester has also masterminded a 2-0 victory over high-flying Luton Town, while crucial victories have also been achieved against fellow-strugglers Barnet and Yeovil Town. It is the 42-year old’s first job in professional management, having only coached in the youth setups before the chance arose at the Proact. He twinned his semi professional playing role at Gateshead alongside coaching the U12s at the club, before moving on to join former side Nottingham Forest as U18 coach ahead of the 2014/15 campaign. Lester was then promoted to the U23 side earlier this year but didn’t spend too long in the role as the temptation to go into management in the Football League was too hard to turn down. This short spell in management follows on from a vastly successful 20-year playing career spent in the Football League. A striker during that time, Lester made a total of 648 appearances and scored 174 goals. The most productive spell of that career came with the Spireites. He was the club’s top scorer in his first season and finished with the third best games to goals ratio in England, only trailing behind Cristiano Ronaldo and Fernando Torres. He scored 17 goals as they won the League 2 title in the season 2010/11, spending a total of six seasons with the club and scoring 92 goals from 219 appearances. His other clubs read as Grimsby Town, Doncaster Rovers, Nottingham Forest, Sheffield United – while he ended his career by scoring at Wembley in his final game at Gateshead, although they lost the Conference play-off final on that occasion 2-1 to Cambridge United. Chesterfield have resided at the Proact Stadium since its inception ahead of the 2010/11 season at a cost of £13 million. It follows on from their spell at the Saltergate Recreation Ground, which they had previously played at since 1871. A friendly with Derby County was announced to unveil the new stadium on 24th July 2010, a game in which summer signing Craig Davies scored the first goal at the Proact. The score eventually ended up as a 5-4 victory for Derby. The Spireites did, however, win their first competitive league encounter at the stadium. It came against Barnet on 7th August 2010, as goals from Dwayne Mattis and now-manager Jack Lester secured them a 2-1 victory against the Bees. The current capacity of the stadium 10,504, all of which is seated, with the highest attendance being set on 18th March 2011 for a League 2 clash with local-rivals Rotherham United. A total of 10,089 spectators were at the Proact to see a 5-0 victory for the home side, Lester popping up again to score a hat-trick in this game for the Spireites. The Proact has also held a few England age-grade matches in recent years. On 8th February 2011, Germany U19s beat England U19s by a solitary goal, while Connor Wickham scored the winner on 10th September 2012 in a 1-0 triumph for the England U21s against Norway U21s. It will be just the second time in recent years that County have travelled to Derbyshire. Max Porter’s first goal in 14 months salvaged a point for the Exiles on that occasion, having fallen behind to a sublime chipped effort from Jimmy Ryan. A total of 204 County fans travelled that day on 5th April 2014. Ongoing pitch works meant Newport County AFC had to wait 112 days before returning to Rodney Parade after the dramatic ‘Great Escape’ but it looked like the Exiles had never been away as they secured a 4-1 victory against Chesterfield in the ‘Homecoming’ game. It took no time for the Exiles to get accustomed to the new surface at Rodney Parade, controlling all the proceedings in the first quarter-of-an-hour. Frank Nouble, Ben White and Mark O’Brien all came close to an opener in that time, finding an inspired Tommy Lee in their way, while all the Spireites could muster was a 25-yard effort from Kristian Dennis that was easy work for Joe Day. Exiles captain Joss Labadie was next to be denied as the chances kept on falling the way of County, although Lee was again equal to the header and able to acrobatically tip it over the crossbar. The warning signs were starting to show from the away side despite the clear County dominance on proceedings and it was the Spireites who took the lead after 36 minutes. It was the product of some intricate and quick one-touch passing to split their way through the County defence – Andrew Kellett and Jordan Sinnott both involved as Scott Wiseman eventually shrugged off the challenge of Nouble before smashing a cross low into the area for the experienced Chris O’Grady to poke home. The Exiles went in-search of an instant response before half-time, debutant Padraig Amond hitting the post with a header, although were left frustrated in their efforts as they had to settle for a goal deficit at half-time. It would take something special to get past the Chesterfield defence and particularly Lee in the away goal, with the Exiles having their prayers answered in a stunning 13 minutes of football. That spell started in the 55th minute with what could win the goal of the season competition at Rodney Parade, Nouble sublimely picking up the ball before unleashing an unstoppable shot into the top left corner from over 30 yards. The game was turned completely on its head after 66 minutes, Nouble getting his second after superbly guiding a Dan Butler cross over the goalkeeper and into the net from just inside the penalty area. And Nouble’s hat-trick was complete just two minutes later through another header, this one a little closer to the goal, although still another inch-perfect delivery from Butler on the left-hand side. County then finally confirmed all three points with six minutes of the contest remaining, Nouble turning provider this time as Amond finished off a quick counter-attack with a volley into the bottom corner. That superb second-half comeback left County unbeaten in League 2 throughout August and with eight points from their first four matches, knowing a victory at top-of-the-table Exeter City in the following game would send them above the Grecians and into top spot themselves. Ward is currently in his 11th season as a Football League referee, having taken charge of his first League 2 fixture on 18th August 2007 when Hereford United secured an impressive 2-1 victory at Barnet. He has refereed 39 games already this campaign, the last of which came as Charlton Athletic kept their faint hopes of a play-off spot alive with an emphatic 4-0 victory away at struggling Northampton Town. Five yellow cards were brandished by Ward on that occasion at Sixfields, taking his season tally to 109 yellow cards and four red cards from those 39 matches. That follows on from his statistics last season which read as 150 yellow cards and six red cards from 41 matches. Ward has officiated a match involving Newport County AFC on seven previous occasions. Six of those games have come in the league, while one came in the Emirates FA Cup, with County securing three victories, a draw and three defeats from the games. He has already overseen three County matches this season, the most recent of which came on 3rd February as the Exiles suffered back-to-back league defeats for the first time since Mike Flynn took charge of the club. Debutant Ben Stevenson and Tom Eastman gave Colchester United a 2-0 home victory at the Weston Homes Community Stadium, while Mark O’Brien and Paul Hayes were both booked on that occasion from a County perspective. The second game came as County started their Emirates FA Cup run with a 2-1 home victory over League 1 outfit Walsall on 4th November. A first-half goal from Frank Nouble and a second just 25 seconds after the restart from Shawn McCoulsky gave the Exiles victory in-front of the S4C cameras, while Amadou Bakayoko got a goal back for the Saddlers with 13 minutes remaining. No yellow cards were given out on that afternoon by Ward. The first of the County games officiated by Ward this season came in the 1-0 victory over Cheltenham Town when Padraig Amond scored the winning goal in tough conditions at Rodney Parade. Three yellow cards were given out on 12th September, Matty Dolan the offender for the Exiles. Only one County game was refereed by Ward last season, which came in the 4-0 home defeat to Leyton Orient on 4th March 2017. Joss Labadie and Mark O’Brien were booked for the Exiles, a match which turned out to be Graham Westley’s last as manager. Ward officiated County twice in the 2015/16 season. The Exiles were unbeaten in those two games, the first a 1-0 success over Mansfield Town. Six yellow cards were given out in all during that game on 27th February 2016 – goal scorer Scott Boden, Yan Klukowski and Mark Byrne all booked for County. The second game came in the 1-1 draw with Oxford United, a match in which Medi Elito scored his only County goal when cancelling out an effort from Jordan Bowery. Danny Holmes and Tommy O’Sullivan were both cautioned in the only two bookings of the game on 19th April 2016. That just leaves the first Newport County AFC match refereed by Ward. It came on 6th April 2015 when County lost 2-0 away at Exeter City. Ismail Yakubu was sent off in that game, with Mark Byrne also booked for County. On Saturday 30th March, Newport County AFC handed their match against Coventry City over to the kids in the first ever County Kids Take Over. Eliot took over the PA announcing duties, Ruby was managing the team, Ollie was in-charge of kit, and Junior Chairman Charlie was making all the decisions! "It was a Good Friday for me as I was given the opportunity of being a Junior Journalist for the day and, although the rain was pouring, it didn’t dampen the way Newport County played against such a brilliant team as Coventry. Newport attacked well but individual defensive errors cost them all 3 points. David Pipe made a few good tackles and I feel that Newport County deserved to have a few more goals. Padraig Amond had the best of County’s chances but Mickey Demetriou scored after great build up play from Robbie Willmott. I would like to thank Newport County for the eggs-ellent opportunity of being a Junior Journalist. I really enjoyed meeting my heroes David Pipe and Mike Flynn. I am hoping to go into sports Journalism in the future but this is where my dream has started." 🎥| Junior Journalist Luke was asking the first questions for our exclusive interview with Mickey Demetriou after Friday’s match. Watch now - only on #iFollowExiles.